Not long ago I stumbled upon Abraham Hicks teachings once again and decide to actually pay attention to their teachings which I believe are interesting while not at all new, in the video I watched Esther Hicks was talking about The Vortex and how we create and accept every little matter that it's in there. Who is Abraham Hicks to begin with? If you haven’t learned about Abraham Hicks don’t think he is a person because it is not you will be surprised as well as I was when found out that “He” is “They” because it’s a group of nonphysical entities that speak using Esther Hicks as a channel to tell us what they want. You have to believe in order to understand and because the chief reason for this blog is to speak about spiritual problems I must pronounce that I feel a little bit skeptical about the whole matter, I think that there are spirits around us, but in this case, when she Esther H.) Claims Abraham gave them The Law of Attraction, there were already books talking about it, so this is not new, other than that her teachings are good to listen to. What in heaven is The Vortex? 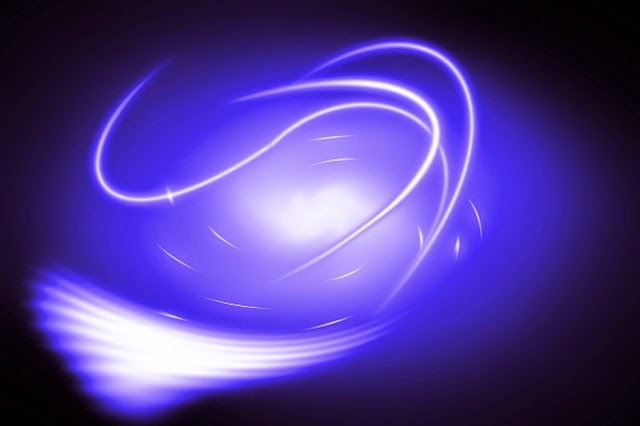 The vortex according to what I understand is when you arrive at the core of your Being, when you get in touch with Spirit, with the Source or Universe, Esther Hicks says that everything you create goes there it is your vibration what keeps you in or kicks you out. According to Abraham Hicks the vortex its spinning all the time going along your vibration, all good things, desires and wants are there waiting for you to step in the right vibration and then manifest what you desire, but if you go on lecturing about what you don’t want this vortex will still be spinning keeping the things you most want until one day you resolve to quit being negative. Which reminds me one of my post title the biggest mountain is within you so the easiest way to come into this vibrational state is by getting rid of fear the root of all negative emotions. How can you be in the vortex? Well, it is the same as when you do meditation and forgiveness work, you are at peace with yourself, finding that Inner peace gives you the strength to do whatsoever you want because you don’t require to even say it out loud for the universe to see it. So starting in the vortex as Abraham Hicks puts it, it is but a matter of inner study, a daily practice to abide and live in the straight. Please do not get me wrong, there is a lot to learn or remind yourself from the way Esther Hicks speaks to at the conferences. What I brought up about being skeptical is that if you have never been in front of a person who can actually channel spirits, it’s hard to trust, if Abraham is real then you will live with the fact that it is (or they are) but until then you are liberal to take whatever you require to think. In conclusion, it is worth to get to know more about Abraham Hicks, its teachings and how they describe this vortex thing. Please, if you have any comments let me know this is a pretty interesting topic.